Meghalaya pointed out what it called shortcomings of the order issued by the Union Ministry of Environment, which it said, would have serious bearing on its implementation. Guwahati, Assam: The Meghalaya assembly on Monday passed a unanimous resolution, asking the Centre to withdraw its cattle trade rules, which ban the sale and purchase of cattle in animal markets for slaughter. The resolution said the rules were "beyond the scope and object" set out in the Preamble of the Prevention of Cruelty to Animals Act, 1960, and was thus infringing on the rights of States. The resolution was introduced in the state legislative assembly yesterday during the special session on GST by Congress's Chief Minister Mukul Sangma. Even the opposition parties - among them National People Party, which is an ally of the BJP -- have supported the resolution. In the resolution, the state also pointed out what it called shortcomings of the order issued by the Union Ministry of Environment, which it said, would have serious bearing on its implementation. 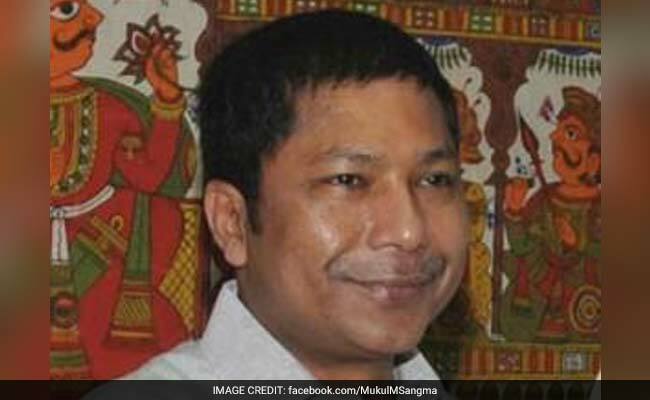 "The Meghalaya government feels that the new rule has adverse effects," government spokesperson Zenith Sangma told NDTV. "In Meghalaya, farmers till their land with cattle, so they use them and once they grow old, they are sold to buy a new one. This cycle will be broken," he added. The BJP has seen a series of resignation by party leaders in Meghalaya over the Centre's trade rule. Last week, two senior BJP leaders in Meghalaya quit, arguing that the party did not respect the tribal culture, where beef is a key part of diet. It was seen as a setback for the party, which hoping to dislodge the Congress and capture power in the state in the 2018 assembly polls. Several Central ministers, including Venkaiah Naidu, have said interfering with anyone's food was not the intention of the rule from the Environment Ministry. The rule, he had said, was was framed with the "larger intent of preventing cruelty to animals".